The first agenda item for every first time home buyer should be assessing their financial situation and getting pre-approved for a mortgage. However this process can be a bit more daunting than one first thinks. It includes not only, How much mortgage you qualify for?, but also, How much home can you actually afford? All in All, the first time you buy a home is not an adventure I would advise taking alone. Family members and friends, which have been through this process are your greatest resource, use them! Moreover, I would highly recommend building a good working relationship with a trusted Mortgage Professional and a Real Estate Agent, as this would be to your advantage. Use our mortgage Calculators, especially the Rent vs Own, to get an idea of what your monthly mortgage payments will be. In the current market a blemished credit or the inability to make a down payment may bring your home buying plans to an early end. Pull your free credit report and follow our tips for improving your credit report. A traditional single-family home likely has the best re-sale profile, however there are other property types to consider such as a townhouse, condo, or a duplex, etc. Each option has its pros and cons depending on your overall housing goals. Also you could consider a fixer-upper, just be sure to count all the costs of time and money before diving in. Especially since this is your first time at bat, you should seriously consider getting your own Buyers Agent. The Internet may make it look easy, but a good agent will have easy access to non-public information like confidential selling prices , etc. Remember the seller’s listing agent or builder’s agent does not represent you, if it is your first time around, get your own agent! A Big Yard (and its maintenance), A Fire Place (most not energy efficient), Stainless Steel Appliances (get them later), Formal Dinning Room (not used often), Outdoor Storage Buildings (use efficient space planners) , and outdoor water features (more maintenance costs). Be aware that your total monthly housing cost will include not only mortgage principle & interest, but also insurance, home owner association fees, and taxes. Get all your financial documents put together ahead of time. For example, your pay stubs, saving and checking account statements, the last 2 years of tax returns, etc. In this day and age, it takes a good set of docs. Attempt to take the emotion out of your home search. Buying the first home you visit, is kind of like marring your first date. Don’t get emotionally attached, shop around, you will be surprised at the variety of housing inventory that is available. Spending your maximum qualified amount, Not getting pre-approved early enough, Choosing the wrong mortgage product, Not understanding housing market trends, Not considering home re-sale value, Trusting a verbal agreement, Skipping the home inspection, and more. If at first you don’t succeed …try the government. Utilize the financing links above and look into qualifying for FHA financing which requires less down payment. Parental gifts for down payments are still a go, and are used often. Don’t forget your 401k or IRA may also support a qualified distribution for a first time home purchase. 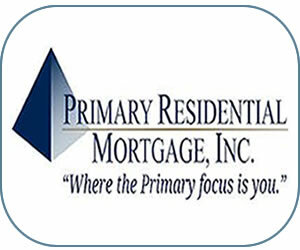 Just explore all your options and discuss them in detail with your mortgage professional. Of course you will want to take advantage of all your options, including most of all, using your real estate agent, driving by neighborhoods of interest, but just remember the seller’s and builder’s agents you interact with at open houses and model homes do not represent your best interests, go back with own agent and don’t sign away your right to be represented. In this day and age, the Internet will likely turn out to be your best tool while searching for your home. While not all first time home buyers are strapped to a smaller budget than repeat buyers, a large percentage are. Thus the following neighborhoods and one-click searches are priced restrained at $175k and below with a good mix of local availability.